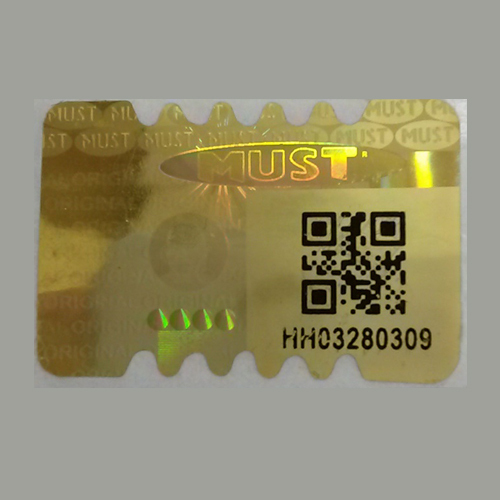 Supported by our team of qualified professionals and high-end machines, we provided our customers with premium quality Anti Counterfeit Security Labels in the market. These products are strictly checked on various quality parameters to make sure that our offered products are designed and developed in compliance with the international quality standards and norms. These Anti Counterfeit Security Labels are fabricated by us using superior quality basic material that is procured from our reliable vendors. Available with us is wide gamut of labels are used to avoid any kind of forgery of brands and products. The offered range is especially designed for our valuable clients in various corporate sectors and is available with us in various sizes, designs and finishes. These cards can be availed in customized form in order to suitably meet the requirements of our esteemed customers.